How to break patterns of relationships that keep coming back and don’t heal. Healing our own relationship with ourselves. Reconnecting with our inner sense of well-being and self compassion. Transforming past difficulties and becoming open to more genuine relationships. This weekend is for anyone who wishes to heal relationships with partners, family members friends and work colleagues, some of whom may no longer be in our lives. Self-compassion will be one of our themes because sometimes kindness to ourself leads to more compassionate interactions with others. This self-reflective workshop, away from the busyness of our daily life, will offer both insights and a practical methodology to kindly address old problems in relating and heal difficult communication with others. 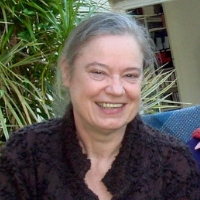 Rosamund Oliver, BA, Dip Psych, ECP, is an international trainer introducing holistic care and contemplative ideas to a wide variety of people in many countries including Ireland, The Netherlands, UK, Germany and Spain. After qualifying as a UKCP psychotherapist and supervisor, she worked with clients focusing on loss and relationship issues and with elderly people in NHS care. She founded Deep Listening Training. Her education work has included teaching stress reduction to nurses, creating a prison meditation project and training psychotherapists. She has also taught GPs on university courses. For over 40 years, she studied how to apply Buddhist meditation and philosophy with many different teachers and she is still learning. As a long-time senior instructor and educator. 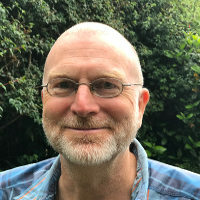 John is one of Dzogchen Beara’s main trainers offering a range of courses and workshops on meditation and spiritual care including Facing Loss and Healing Grief, Deep Listening Training, Self Compassion and Healing Relationships. He is a Certificated ACDLT Deep Listening Trainer. John is a qualified psychotherapist in private practice, he works as a counsellor in Castletownbere and in ARC Cancer Support House in Bantry. He is a pre-accredited member of the IACP working group. He is also a key member of the care team supporting guests at the Care Centre in Dzogchen Beara.